AF2 Compact Line: Bedpan washer disinfectors. AT-OS AF2 is a new generation of washing machines for human waste containers such as: bedpans, urinals, support for disposable bedpans, commodes, kidney-shaped basins, bowls, urology bottles and other containers used in healthcare. AT-OS AF2 grants a perfect hygiene and protection for both for the patients and the nursing staff. In order too meet the needs of different user and working spaces, the AF2 series comes in three lines of products: The Professional, the Compact, and the Simplex. 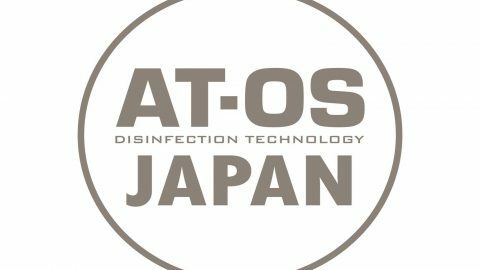 AT-OS AF2 Compact line is designed to attain the highest safety in the field of infection control even in reduced space. Wall-hung mounted with wall fixing support brackets, wall drain trap connection. Thermal disinfection with built-in steam generator. Column floor mounted with plinth, wall or floor drain trap connection. Thermal disinfection with built-in steam generator. Under-top floor mounted with plinth to be placed under a work-plate. Wall or floor drain trap connection. Thermal disinfection with built-in steam generator. Wall built-in with assembly frame. Drain trap connection. Thermal disinfection with built-in steam generator. Built-in with assembly frame, completed with small materials for fixing the toilet and drain trap connection. Thermal disinfection with built-in steam generator. AF2 Professional Line: Bedpan washer disinfectors.AF2 Simplex Line: Bedpan washer disinfectors.